Here's another Fancation to tempt your travel planning for the year ahead. Plan to visit New York City starting in April to see the Amazins' continue the momentum started this year. Be one with your favorite firecracker-hot Mets players at Citi Field where you can really feel like you’re a part of the action. The Mets’ newish stadium seats 41,800 and provides a little something for every single fan. The seats are positioned inward to provide an enhanced view of the field, there’s the 2K Sports FanFest area complete with batting cage, dunk tank and video and of course an abundance of food stands serving the best hot dogs, pretzels, Italian heroes and other baseball-friendly snacks. The food court in the back takes baseball cuisine a step further with Danny Meyers' Shake Shack and Blue Smoke,along with Pressed by Josh Capon of Lure Fishbar fame. Very much made with the customer in mind, tickets are reasonably priced, compared to the other New York team’s.. Located in the busy and diverse Flushing Meadows section of Queens there is so much culture and energy surrounding the stadium in the form of interesting museums, ethnic restaurants and beautiful architecture. Getting to the stadium is easy— whether you prefer by subway, rail, water or road. The 7 train takes you directly to the park. Check online to find out about seasonal water taxis, often leaving from downtown Manhattan. Anti-Booze Cruises: Take a break from all-you-can-drink nighttime sailing adventures and give Classic Harbor Line cruises a try. 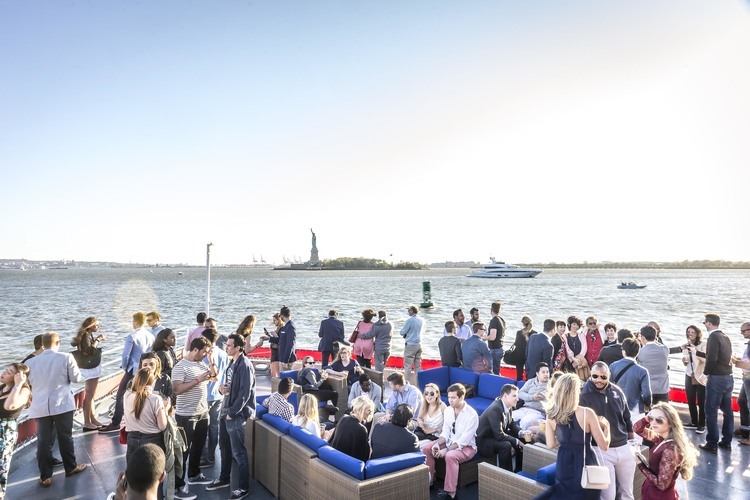 Sail around New York while renowned restaurateurs and architects entertain and enlighten you with their fare. Learn some New York City architectural history aboard a classy 1920’s style yacht where you glide along the East, Harlem and Hudson Rivers, under each of Manhattan’s 18 bridges (who knew there were so many) and past many other notable buildings and memorials. 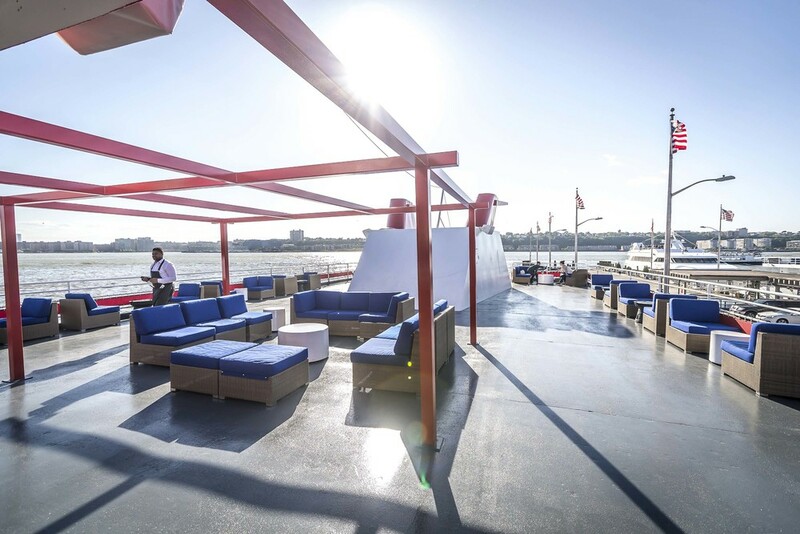 Cruises set sail from easily accessible Chelsea Piers, Pier 62 at West 22nd Street. 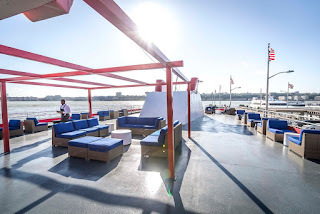 You can also enjoy the new cruise-dining experience on Fish Bar from Pier 81, where you can choose to sit on top at the bar on lounge furniture, or inside as you enjoy fine dining while sailing along the Hudson River. 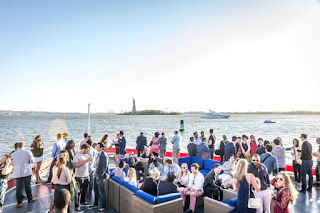 Time your dinner to coincide with a sunset viewing of the Statue of Liberty. The boat and restaurant operate year-round. Not Your Mom’s Science Fair: Perfect for ages 6 months to 70 years, the New York Hall of Science takes the science beyond generic science-fair level. There’s a Science Playground with slides, sound machines and more that are perfect for the little ones who are discovering the use of their senses. There are more than 450 permanent exhibits that are all hands-on and mentally stimulating. Explore some of the most powerful and historical spacecrafts at Rocket Park, discover unknown worlds beneath the microscope at Hidden Kingdoms and put your body to work at Sports Challenge where you participate in fun and physical activities. Rocket Park Mini Golf is a way to incorporate all you learned about physics, mathematics and good old fun. General admission tickets are priced reasonably, based on age of guest, and don’t miss the opportunity for complimentary admission September-June on Fridays, 2-5pm; Sundays, 10-11am and Fridays when school is out for students. The Museum hours change with the seasons. De-stress : Sweat the stress and pounds away at an authentic Russian Bath, Wall Street Bath and Spa. Offered is the Russian Sauna, the Old American Shvitz that’s temperature and vapor ingredients can be adjusted to your liking, a near-Olympic-sized swimming pool, tanning beds, and Jacuzzi. For $32.50 per day you can de-robe and relax in one of the busiest districts in the city, Wall Street. There’s a restaurant onsite with a few options to help replenish your appetite after a day of sweating off toxins and unwanted fat. Ride the New York Waterway Ferry for another fun experience. Open Monday through Friday 11am-11pm or Saturday and Sunday 9am-11pm. Sleep: Skip staying in Queens and head instead to Manhattan for greater choice and comfort. A boutique in a quieter section of the city is the Hotel Giraffe. 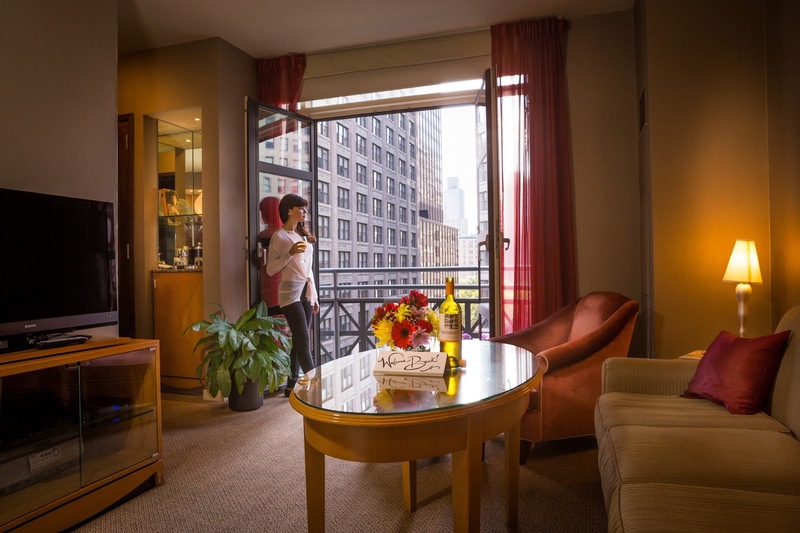 Comfort, elegance and style are personified in the spacious guest rooms, with afternoon snacks, and music in the lobby. 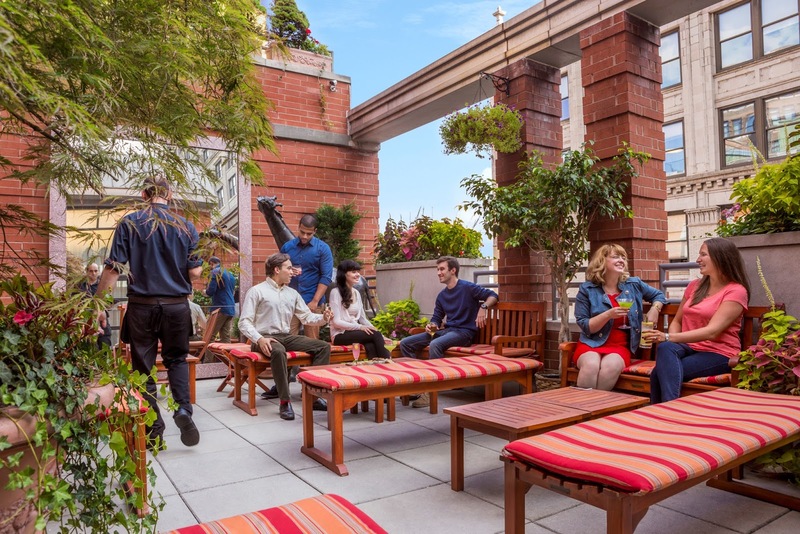 The complimentary European-style breakfast buffet and rooftop lounge area are sure to provide the much-needed boost of energy or bit of relaxation to get you through your day as well as the high-speed Wi-Fi Internet for researching your next move. Though there is no gym onsite, guests receive a complimentary pass to the nearby NY Sports Club. 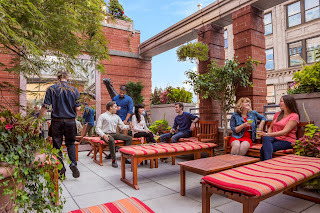 Located at 365 Park Avenue South; New York, NY 10016; 212-685-7700 you are within a short walking or public transportation-distance from many of the city’s major shopping areas, landmarks and museums. Hotel Elysée is a boutique hotel that entices with its simplicity without sacrificing its amenities. It’s very much like a home away from home feel with the charming and thoughtfully styled guestrooms and suites and the care with which they treat guest, offering complimentary Wi-Fi Internet throughout the hotel as well as a hearty breakfast. 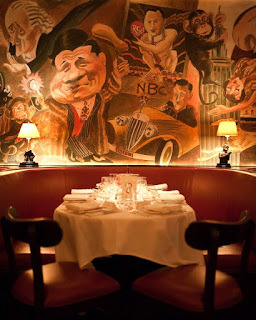 For a delicious meal at a world-renowned eatery, head right out to Monkey Bar or order into your room. 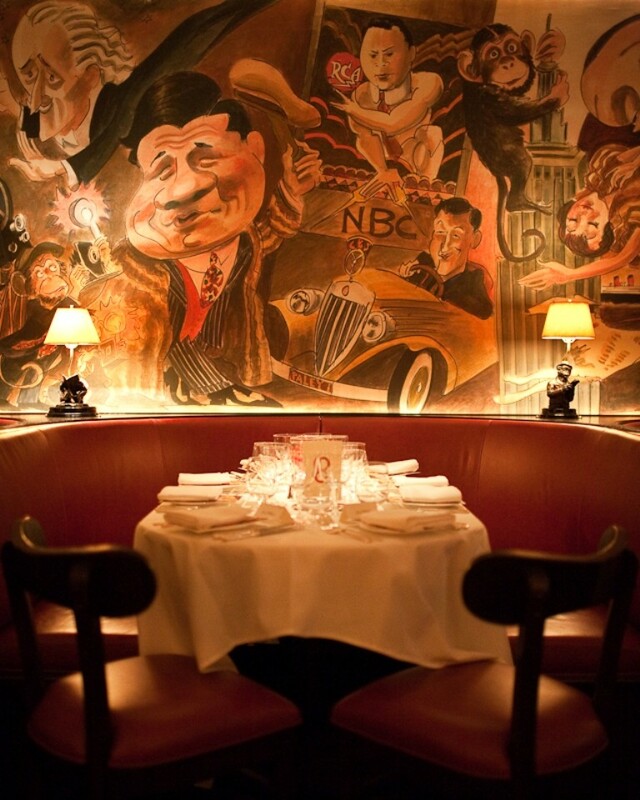 The stylish restaurant that has been around since the Great Depression serves up banana daiquiris, famous NY Strip ‘Delmonico’ and enough oysters and clams to satisfy your crustacean cravings. The Hotel is located at 60 East 54th Street; New York, NY 10022; 212-753-1066. Open Sunday through Thursday 5pm-2am; Friday & Saturday 5pm-4am; Weekend brunch begins at 11am. Shop: You know the drill. Manhattan and Brooklyn are where the shopping's at. Depending on your style preferences, you might enjoy perusing the high-fashion Pucci and Prada shops along Madison Avenue in Manhattan or subway downtown to SoHo for trendier boutiques or big-name magnets like Moncler and Intermix. Brooklyn is the place for the independents, with each neighborhood touting its own. Take the subway, pick a neighborhood, and shop. There are more stores in NYC than in most cities in the country and you're sure to find something distinctive along the way. And, of course, there's always the Fan Store at the stadium for your Mets flatbrim hat.